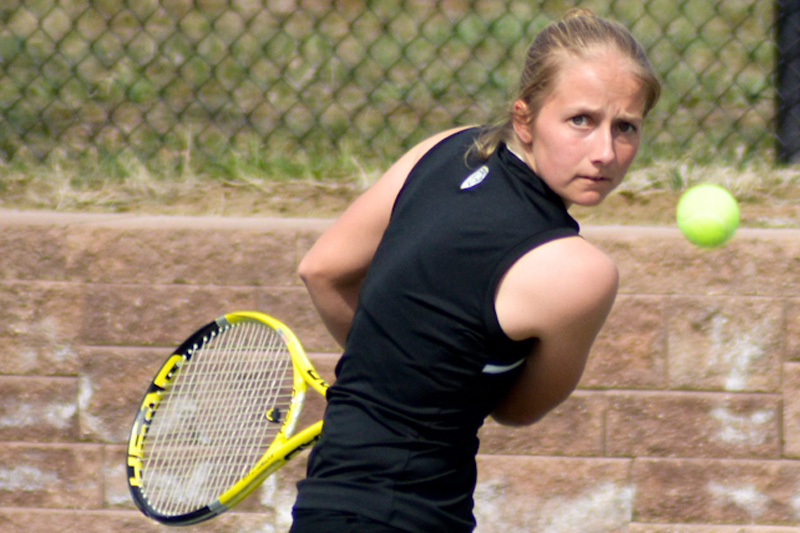 The University of Colorado women’s tennis team started the season off with a home win. The Buffaloes won four of five singles points in the season-opener on Friday to beat the United States Air Force Academy 4-2. CU dropped its doubles match, with USAFA’s Melissa Cecil and Tahlia Smoke defeating Carla Manzi Tenorio and Kristina Schleich 8-6. “It was great to see how we would deal with the adversity of losing the doubles point right out of the gate and individually everyone did well in singles to go out and take care of their court,” CU head coach Nicole Kenneally said to the Sports Information Department. CU’s only doubles win came when Winde Janssens and Julyette Steur defeated Hannah Dake and Anastasia Hueffner 8-5. The Buffs got on the scoreboard with Schleich defeating Smoke 6-2, 6-2, and Steur, in her collegiate debut, edging out Christine Molina 6-1, 7-6 (4). Air Force’s Cecil tied the score at 2, defeating Janssens 2-6, 7-6 (2), 6-2, in the No. 1 singles match. CU went on to win the No. 4 and 5 singles matches to win the meet. Erin Sanders defeated Dake 7-5, 6-2, and Manzi Tenorio won over Tiffany Tran 7-5, 6-2. “Air Force is always a great competitive team that competes to the end, and on Sunday, LSU will be a notch above USAFA, so we will come out Saturday with a solid practice, review some things and then get ready for Sunday,” Kenneally said. The Buffs host LSU beginning at 10 a.m. on Sunday at the Millennium Hotel Harvest bubble. Statistics and quotes courtesy of the University of Colorado Sports Information Department.